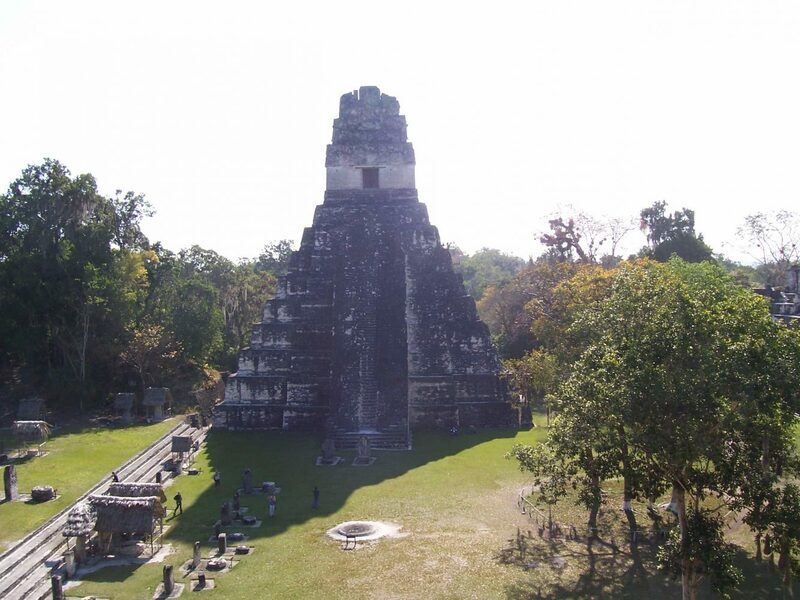 One of my favourite travel memories is from the time I spent at the Tikal ruins in Guatemala. I left one afternoon with someone I had met at the hostel in nearby Flores to the Mayan city of Tikal. We had the intentions of staying overnight in a hammock next to the entrance so we could get into the site before anyone else. However, our bus trip to the ruins got us to the site hours before closing time so we decided to enter that night. As dark began to settle in a security guard tried to whisk us out of the site, saying that as soon as the sun goes down the site closes. My co-traveler asked the guard how much it would cost to stay the night inside the grounds. However the security guard did not sense the intention of a bribe, and simply told us “you can’t it’s too dangerous.” My friend pulled a 20 dollar US note from his pocket and stuffed it in the hand of the guard and said “we’re sleeping up there,” as he pointed to the top of one of the pyramids; and we did. 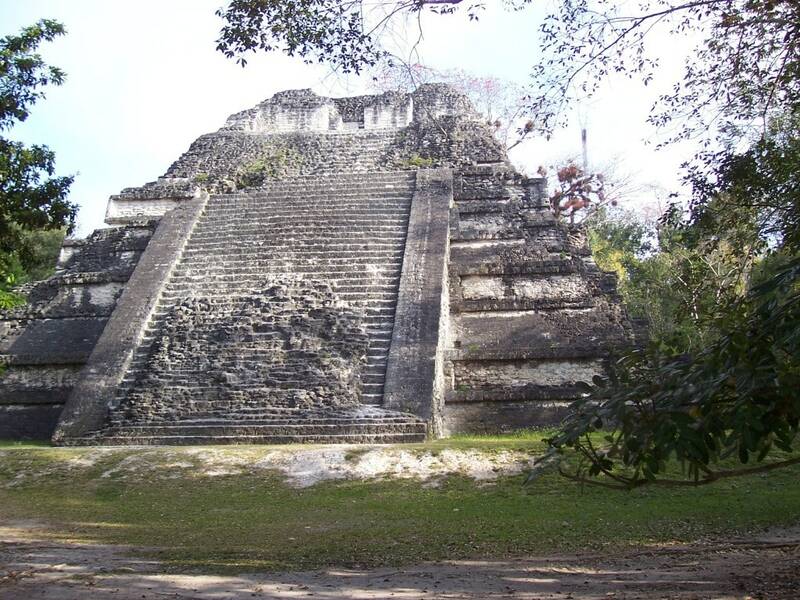 Imagine trying to sleep on the top of an ancient pyramid as howler monkeys howl, toucans squawk, and anything else that can make sound is doing the same as well. In the end, I didn’t sleep at all, however I did have one of the greatest experiences of my life. 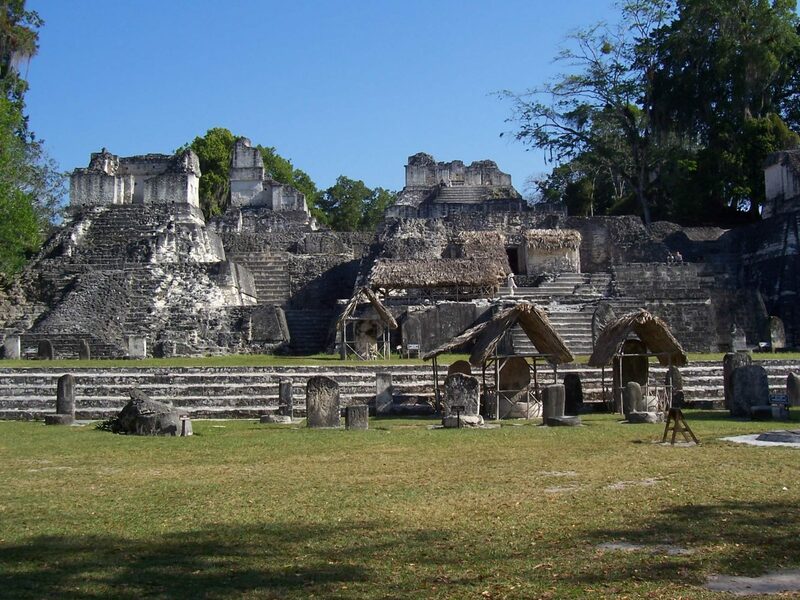 Tikal ruins all to ourselves! 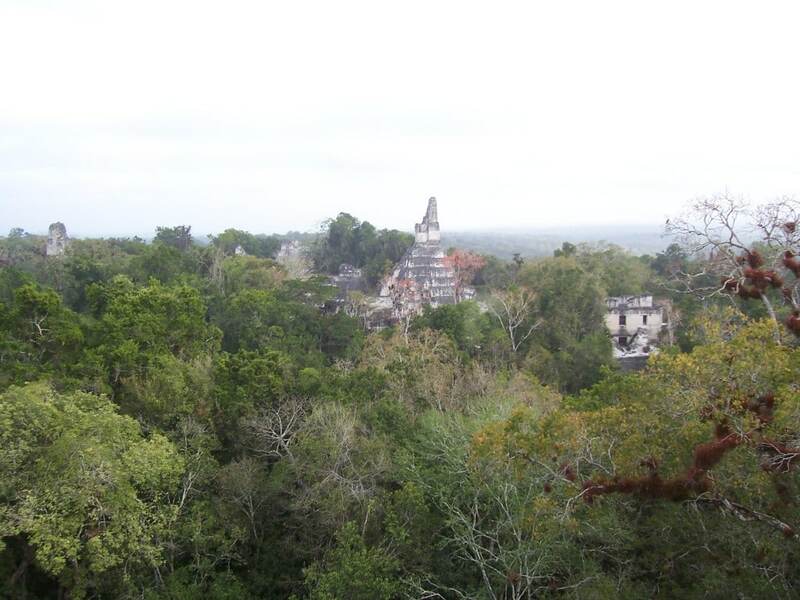 This city was once lost in the jungle. 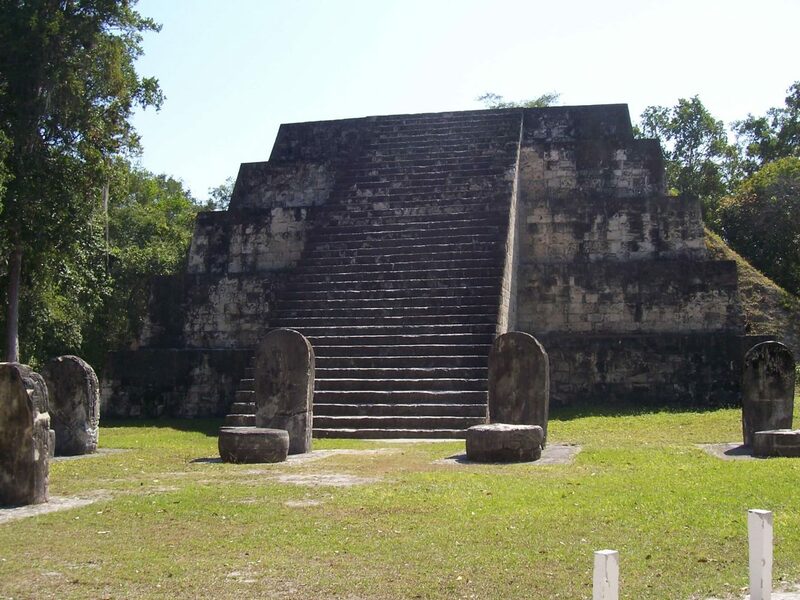 Sites that were once locations of Mayan sacrifices to the gods are spotted throughout the city. Brought back the memories of my visit there this past March…I also stayed at a hostal in Flores, getting up early to walk the streets solo to take some photos…. Keep up the good work and I hope you are enjoying your time in Canada with family and friends…. Dude, that is awesome. I love it. Sleeping in the ruin. How great. Oh wow that is seriously awesome! The pictures look great & lucky you for being able to stay all night but ummmm what if that croc had got ya at night…lol jk! Great pics! Looks like an awesome spot… and thankfully not overrun with turistas. 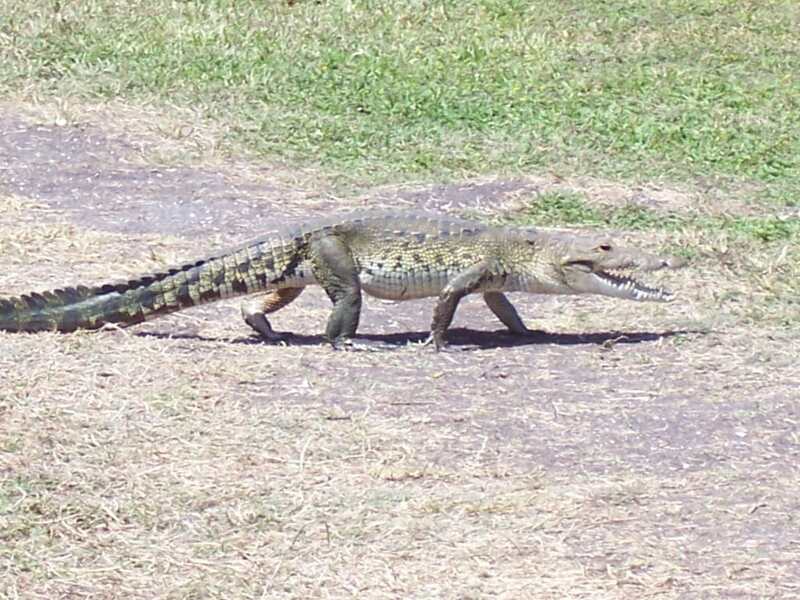 Glad the croc was a small one– shades of Romancing the Stone! Awesome that you slept there. Unbelievable. 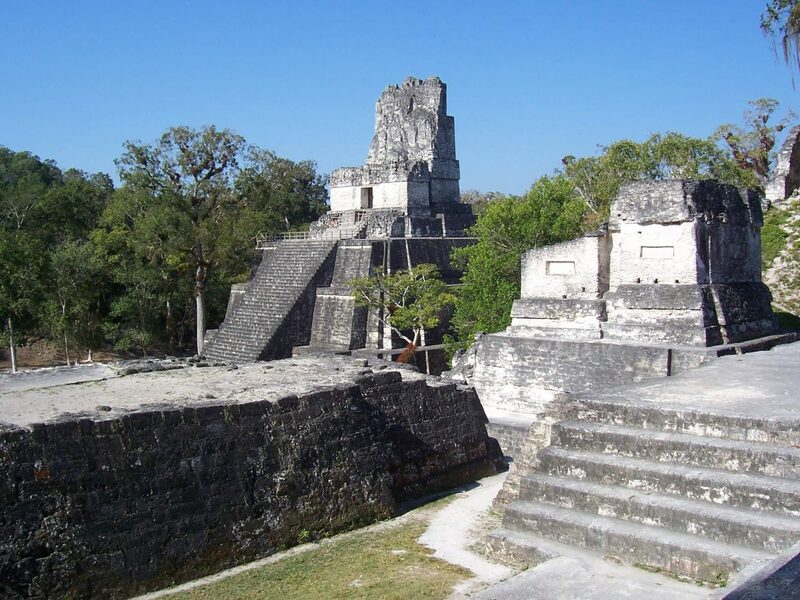 Never been to Tikal, but it’s on the list and it looks amazing. I was in Central America for 4 months, and about 3 weeks of that was in Guate… ended up being my favourite country there… let me know if you go, I’ll give you all the advice you need! wow, an overnight party… so curious about your thoughts, conversations, and dreams sleeping on-site. Anything unusual besides the sounds of the jungle? Great post. 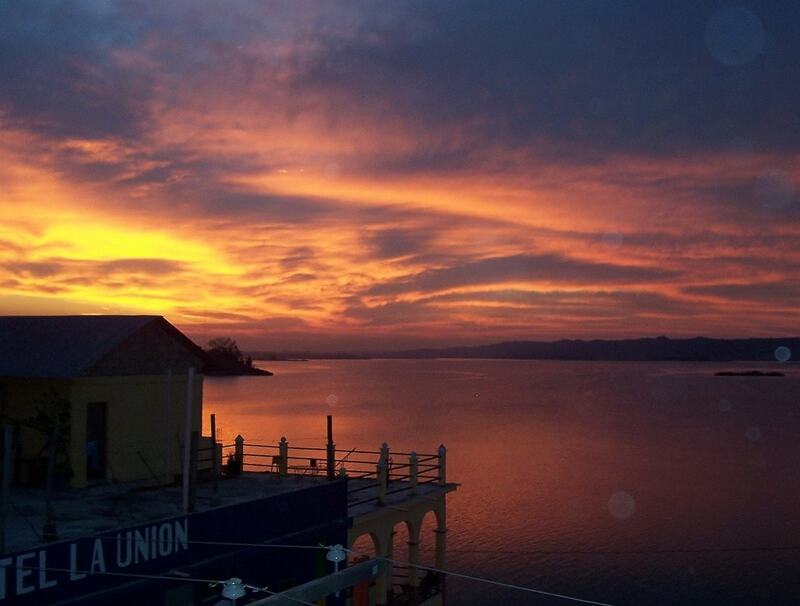 If I ever get to Guatemala, this is tops on my list. 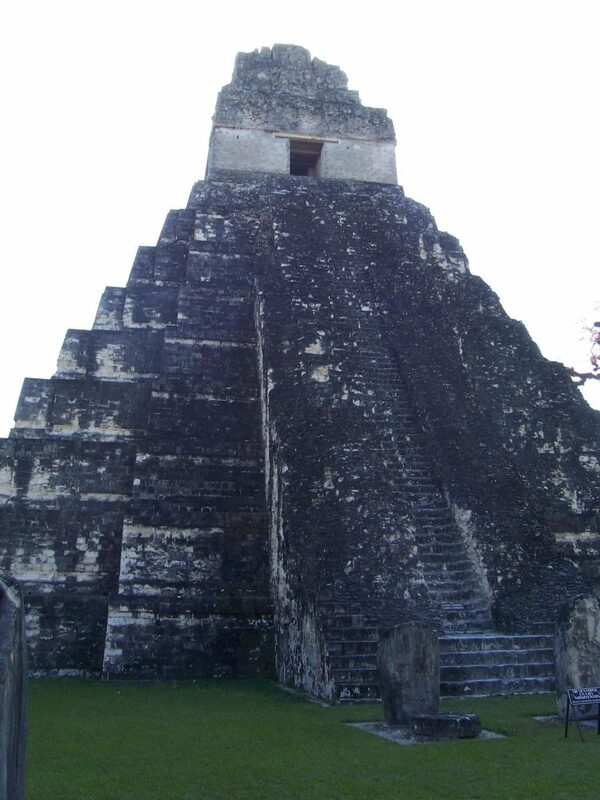 I love the Tikal Ruins, they are so beautiful and filled with history. I have been there three times and I still can’t get enough of them. 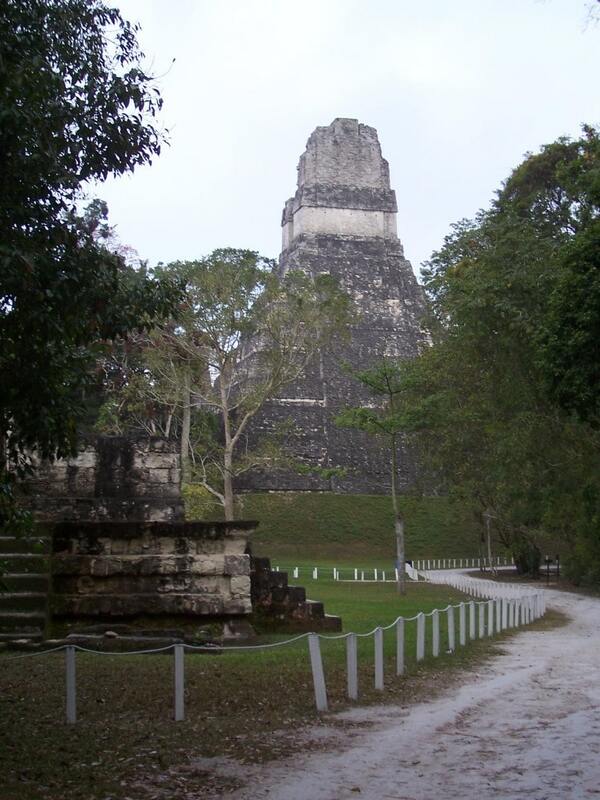 Yup, the Tikal ruins are one of the few places I could just keep going back to! Great story about sleeping there as well 🙂 Good on you!